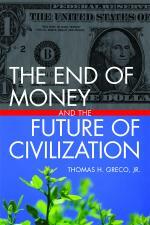 ← Paul Craig Roberts: Can the Economy Recover? Reporter Matt Taibbi recently wrote an article for Rolling Stone called The Great American Bubble Machine. In this five part video he elaborates upon the theme and describes how Goldman Sachs has virtually taken over the U.S. government. Watch it. This entry was posted in Finance and Economics, Geo-politics, The Political Money System and tagged Goldman Sachs, money power, Taibbi. Bookmark the permalink. I think this concept of speculation vs investment is a false dichotomy. Let’s consider some of the principles that explain the causes of shortages and surpluses and the role of speculators. When a harvest is too small to satisfy consumption at its normal rate, speculators come in, hoping to profit from the scarcity by buying. Their purchases raise the price, thereby checking consumption so that the smaller supply will last longer. Producers encouraged by the high price further lessen the shortage by growing or importing to reduce the shortage. On the other side, when the price is higher than the speculators think the facts warrant, they sell. This reduces prices, encouraging consumption and exports and helping to reduce the surplus. People who are blaming prices on speculators should instead be making sure their government isn’t bailing out speculators when they fail. Also, people should be making sure their credit issuers are not speculating with their issuance of credit. Better yet, take control of your own credit issuance. Why Can't Governments Balance Their Budgets?